Pheasant Ridge Golf Club Weekend Golf Twosome in Gibsonia! 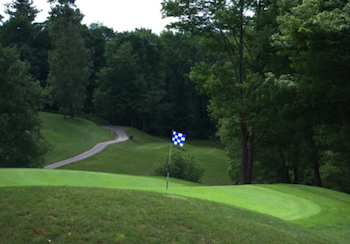 1/2 Off (1) Golf Twosome with Cart on Saturday or Sunday at Pheasant Ridge Golf Club in Gibsonia! 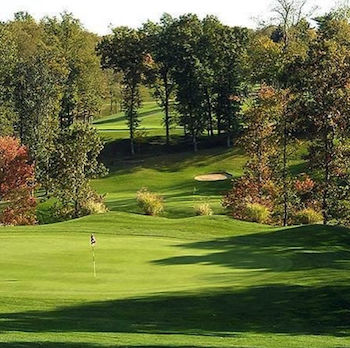 The 18-hole Pheasant Ridge Golf Club in Gibsonia, Pennsylvania was opened in 1998 and features 6600 yards of golf. With a course rating of 72 and slope rating of 135, this puts us in the Top 10 public toughest courses in Western PA. The Pittsburgh Tribune - Review's Reader's Poll ranked us #1 public course in the area for 2015. Visit our website to learn more about rates, instruction, membership, outings, event packages, footgolf and more. Valid for (1) Golf Twosome with Cart on Saturday or Sunday. Cannot be used until 11:00 AM.